For the last few years I have make either (rather large quantities) of sugar cookies or Florentines to give to take to work and generally distribute over the Christmas period. While these are always great fun to do, I fancied trying something new this year. The something that I eventually decided on was orangettes. These are strips of candied orange peel coated in dark chocolate. Despite the fact that they are very widely sold in the shops over hear at this time of year I struggled to find recipes for making them at home. This may be to do with the fact that they are really straight forward (if a little time consuming) to make and only need three ingredients– maybe everyone just “knows”! Anyway, eventually I was able to locate some information and set upon creating these little treats. 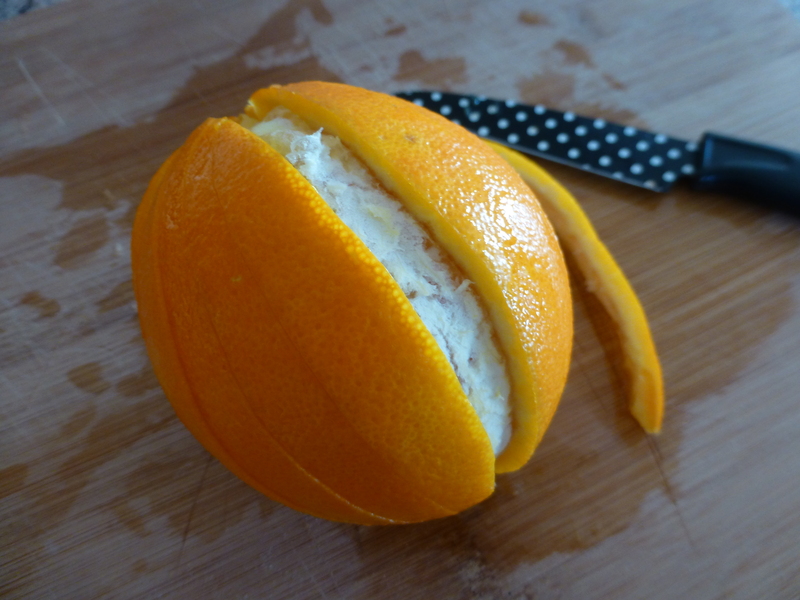 The first challenge was figuring out how to actually “peel” the orange since I needed to end up with nice long strips. I could not figure out a way of getting nice rectangular pieces that did not involve wasting a lot of peel. In the end I decided to forgo right angles and choose to cut the orange from top to bottom repeatedly and then removed each of these pieces carefully. Next came the boiling stage where you repeatedly boil and cook the peel to “remove the bitterness”. The instructions I had found varied in how many times this needed to be done. I decided to err on caution and go with the biggest number, just in case. This meant I had to boil and cool the peel for times! 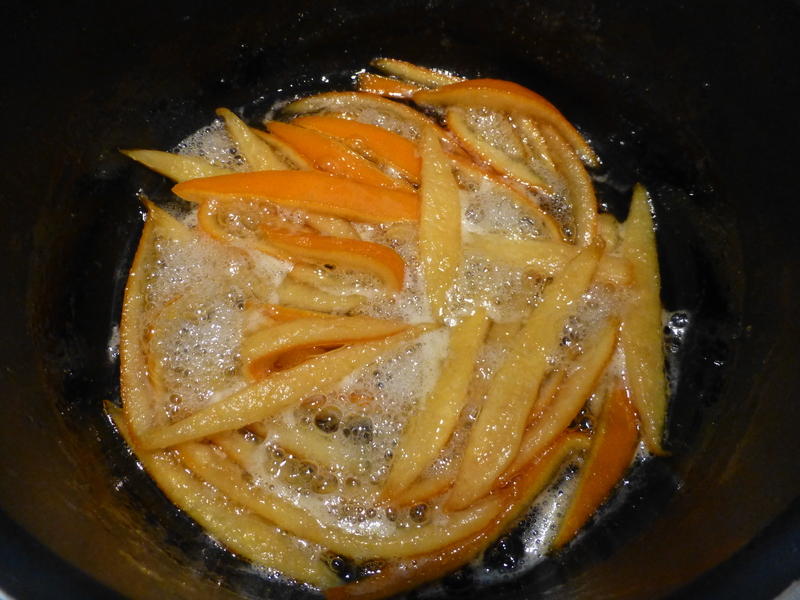 After this it was time to boil the peel once again, but this time in sugar syrup! 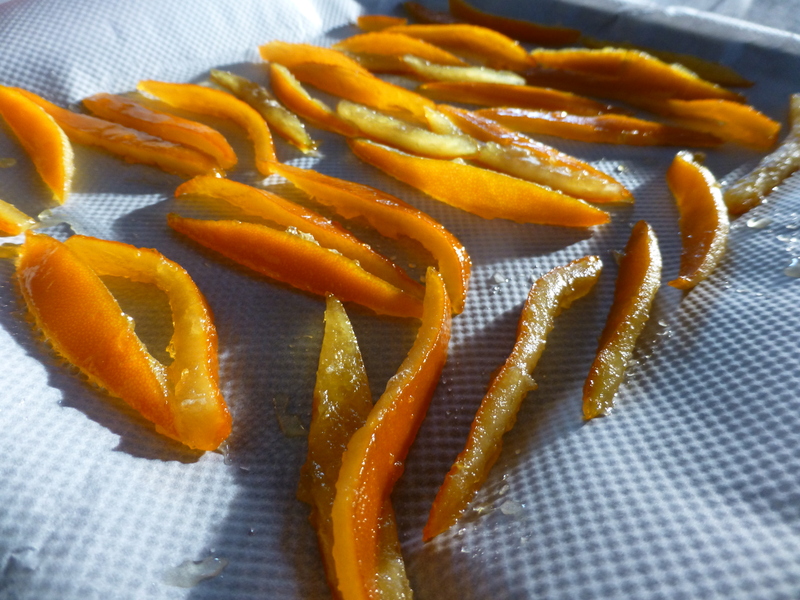 Once the peel had taken on a lot of the sugar and water I could finally move onto drying them on some baking parchment and that was it for one day since they need a long time to dry out a bit. The next day it was onto the chocolate coating stage. I expected this to be a little messy what with the molten chocolate as well, but I had failed to take into account just how sticky my candied peel would be. This made them rather difficult to handle as they seemed to stick to everything except the cocktail stick I was using to dip them in the chocolate. 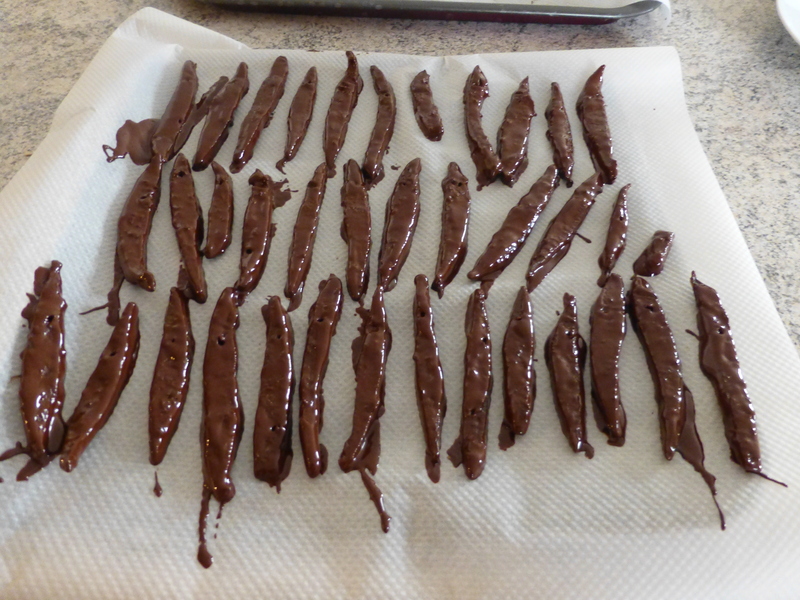 Eventually I had managed to coat each piece of peel (and myself and a large section of my kitchen) in chocolate. They could then go into the fridge to cool down and set. 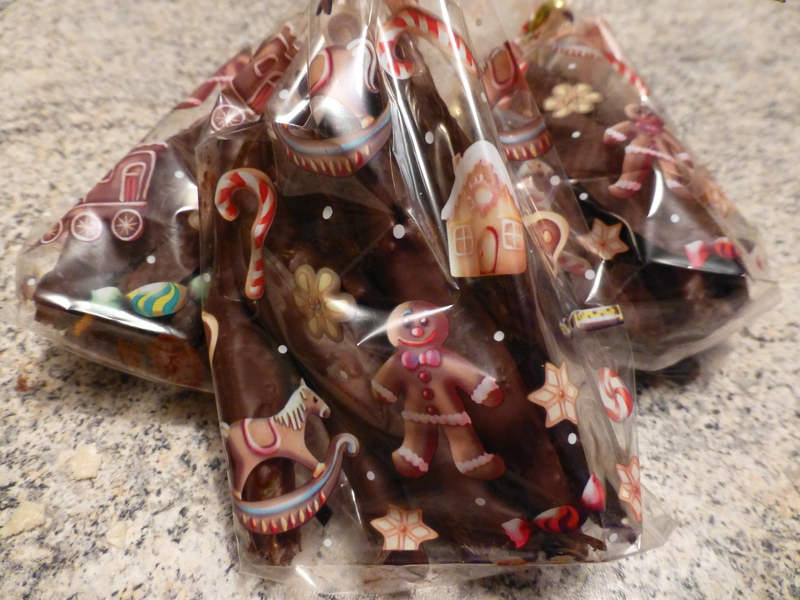 With the chocolate set I could finally bag up the orangettes ready to give out. These may have taken a while to make but I was really pleased with the result. They taste and look great (according to me!) and I hope everyone enjoys them. In my head I often picture myself hosting elegant dinner parties. Multiple courses of elegantly plated food, soft jazz music, napkins, candles – the lot. However while I have managed to achieve this for a few special occasions, it’s certainly not the norm and can sometimes be far too stressful to enjoy. In reality it is always much easier and more enjoyable to go for simple food which doesn’t require too much cooking on the day. This means that I can actually enjoy spending time with my guests rather than playing hostess. 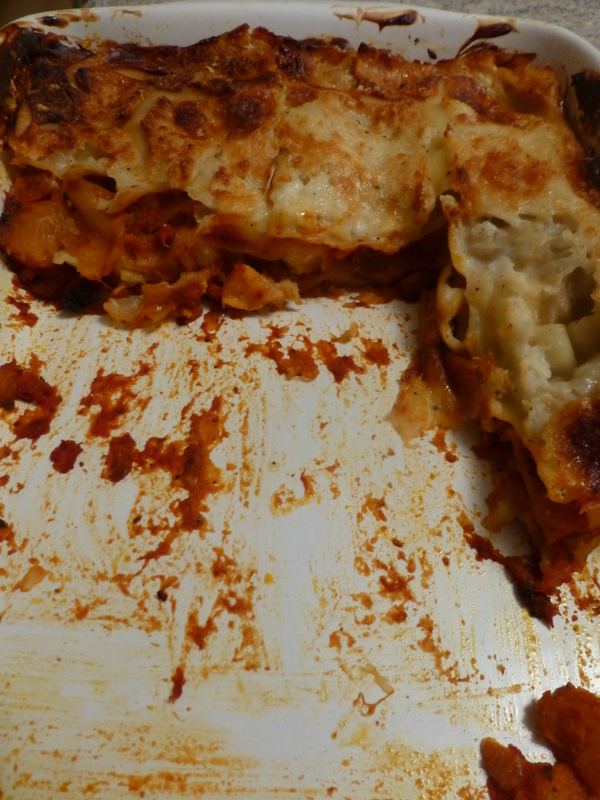 In the autumn and winter one of my “dinner with friends” staples is pumpkin, roasted garlic and goats cheese lasagne. It’s a dish which I can prepare in advance (you can even chop and roast the pumpkin a couple of days ahead of time) and then leave in the fridge ready to pop in the oven once people arrive! I love using pumpkin or squash and this is a dish in which they get to shine and be the star of the show. While this is a vegetarian dish, it has a lot of oomph and I’ve never had any complaints, not even from hardened carnivores. 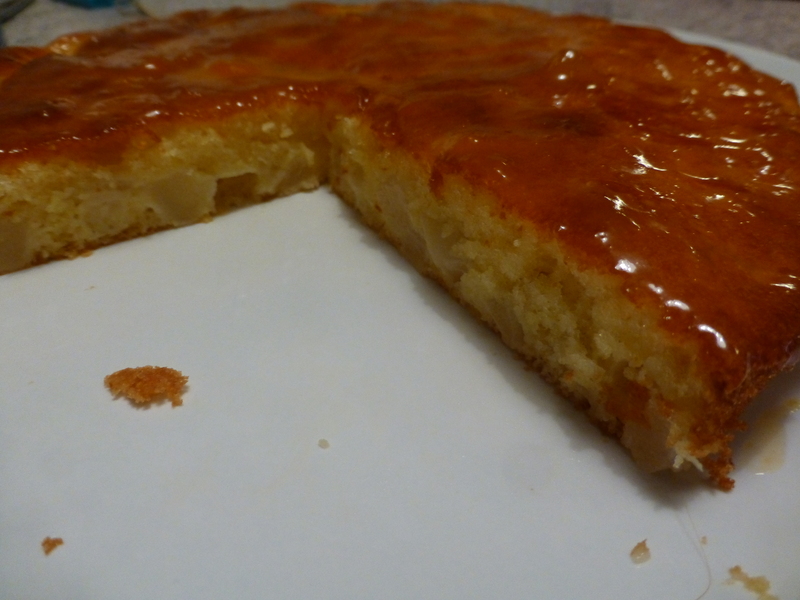 With about half its volume being pears this cake is actually fairly healthy for a dessert (the recipe I based it on claims it only about 200 calories per slice!). In addition to being really tasty it was also ridiculously quick and easy to make. Another great dish for relaxed entertaining. With the pears ensuring it stayed moist it kept really well and, as it’s not too sweet, I ate the left overs for breakfast later in the week. So I probably should have saved this post for the 1st March which is St David’s Day (he’s the patron saint of Wales) but I was making some welsh cakes to send to friends as part of a Christmas parcel and I thought that after talking so much about the food and wine of where I currently reside it would be nice to share something of my real home – Wales. 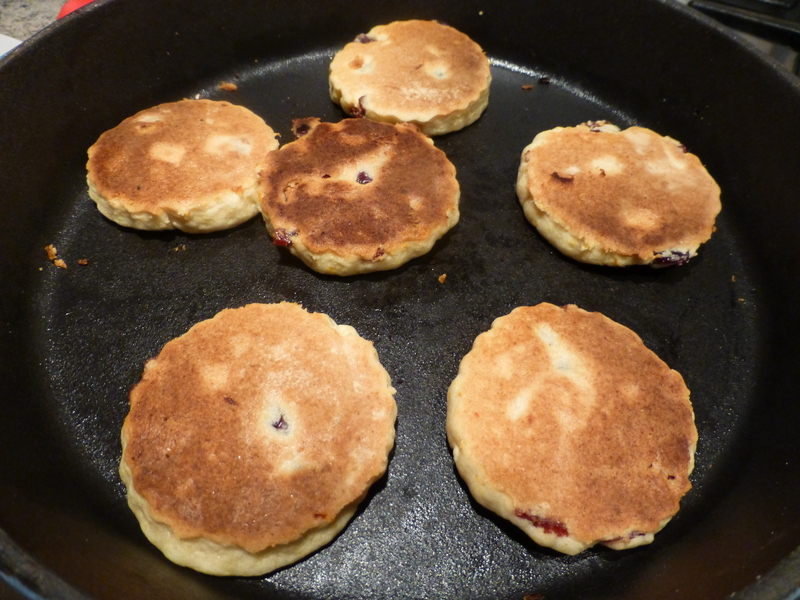 While they are very popular and well known within Wales, it seems that all knowledge of welsh cakes stops at the border. As a result unless you’re from Wales or have a connection to the country somehow you’re very unlikely to have ever heard of them let alone encountered one. When asked to explain what they are I always go for “a cross between a biscuit and a cake” but this doesn’t really do them justice. In true they’re very hard to define. They have quite a close texture but they’re a lot softer than a biscuit (unless they’re several days old – not that many last that long when I make them!) and they’re also nothing like a cake! Let’s just say they are unique! That being said, I’ve yet to meet anyone who doesn’t like them once they’re had a try. 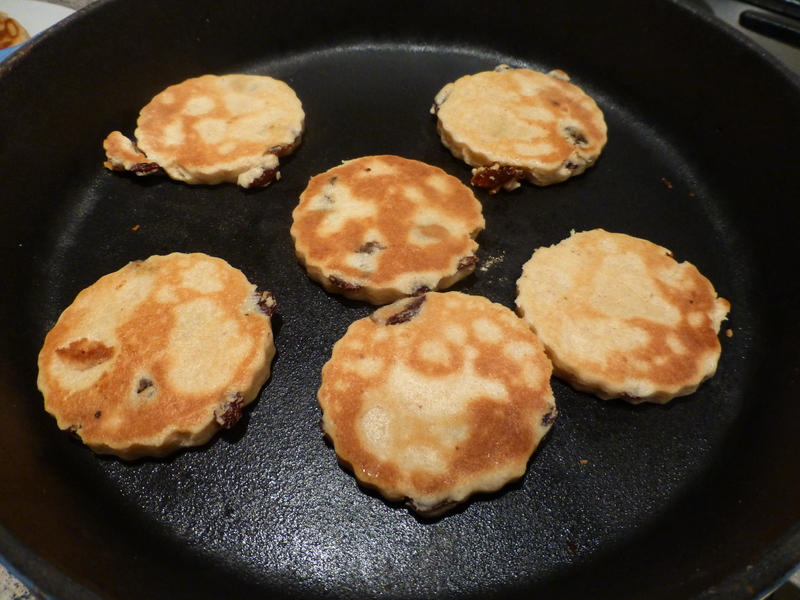 The hardest thing about making welsh cakes, as you can probably tell from my recipe, is actually cooking them! Traditionally you should use a bakestone. This is a large round piece of cast iron which is usually 1cm – 1.5cm thick (and which by consequence weighs rather a lot!) and so provides a nice steady constant low heat. To my shame, I don’t own a bakestone (although I’m considering trying to get one across into France in my hand luggage – I think it would take up half my baggage weight allowance if I put one in the hold!). Instead I use a cast iron skillet. This has nowhere near the thickness of a proper bakestone and so I’m forever having to adjust the heat to stop the cakes burning or drying out (since it usually takes me a while to find the right balance not all the welsh cakes I make are fit for human consumption, although with extra sugar the “slightly” burnt ones usually taste fine!). That said it’s still easier than trying to use a frying pan which, while possible, requires that you watch your cakes like a hawk! 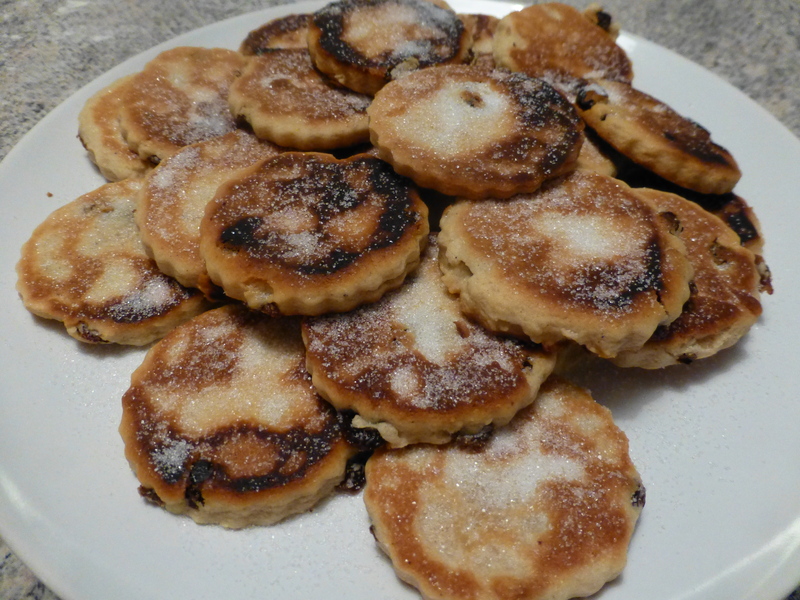 While there no “one true recipe”, most traditional welsh cakes contain mixed spices (I use ginger, nutmeg and cinnamon) and raisins or sultanas (I prefer the softer raisins). However these days you’ll also find plenty more exotic varieties. When I lived in Cardiff there was a lovely shop down the Bay which made all sorts of flavours and inspired me to try some different options myself. 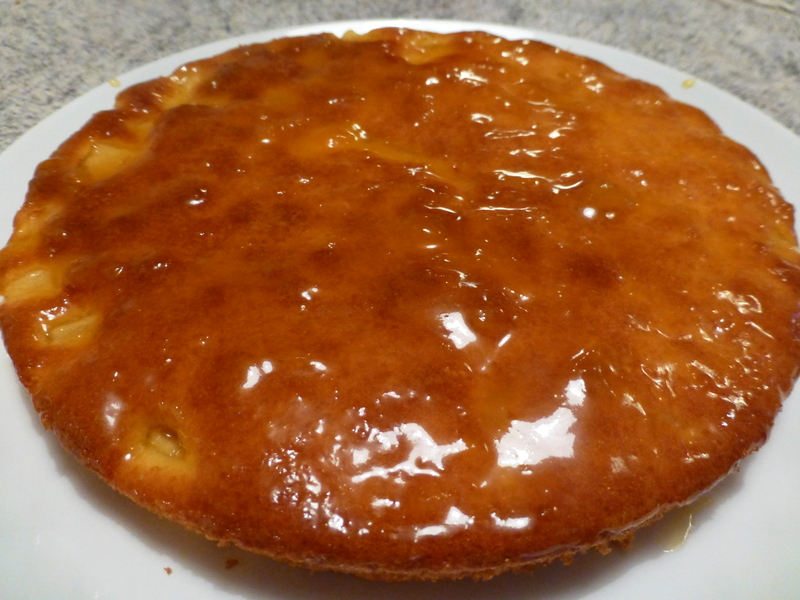 A favourite variation of mine was lemon, vanilla and white chocolate (although the white chocolate has a tendency to burn making the cooking even trickier again). For my Christmas box I wanted to make two different varieties. 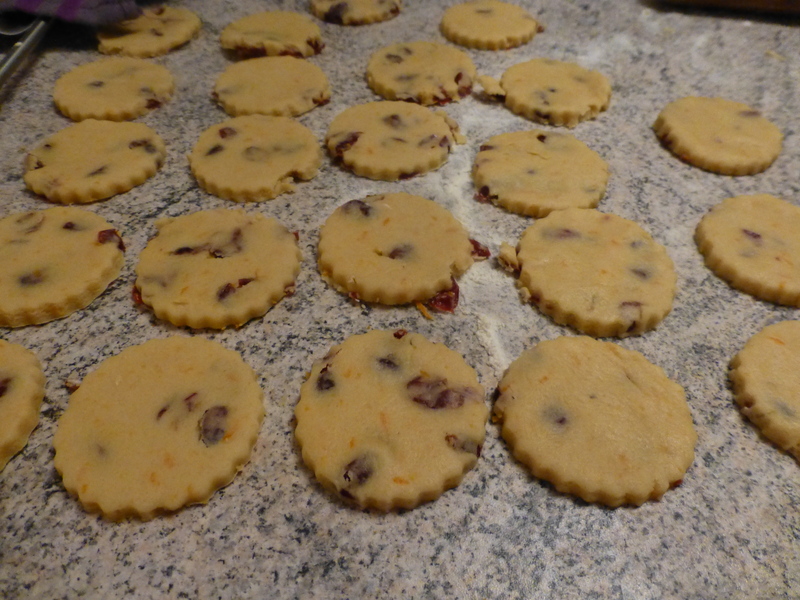 After whipping up my normal welsh cakes I had a go at a new Christmas themed orange and cranberry batch. For these I didn’t add any spices (but kept the salt) but instead added the zest of a (nice large) orange along with the sugar and replaced the raisins with dried cranberries (craisins as the packet horrifically referred to them). 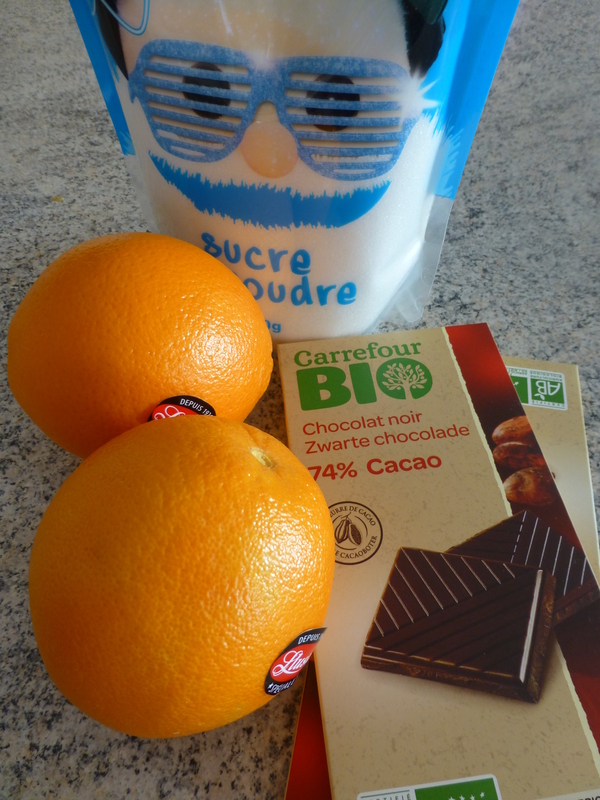 I also forgot that I was using plain flour and so needed to add baking powder (I do that a lot since I’ve moved to France – I really do miss self-raising flour!) and had great fun trying to incorporate it into the dough, but the less said about that the better. All in all I thought these worked pretty well. There was a real freshness and zing from the orange and while not as soft as raisins the dried cranberries were not too dry. I think the only thing I would change when I make them next would be to add a little bit of cinnamon (probably about half a teaspoon) to bring that extra hint of Christmas flavour. So there you go; a little piece of my beloved Welsh culture. Despite my moaning about bakestone and skillet temperatures these are actually really easy to make and absolutely moreish! A little while ago at the beginning of October it was the start of the mussel season! As I love mussels and this is a very happy time for me and something I look forward to. When the season first starts some of the mussels can be a bit on the small side, but even a few weeks in they are lovely, fat and juicy. 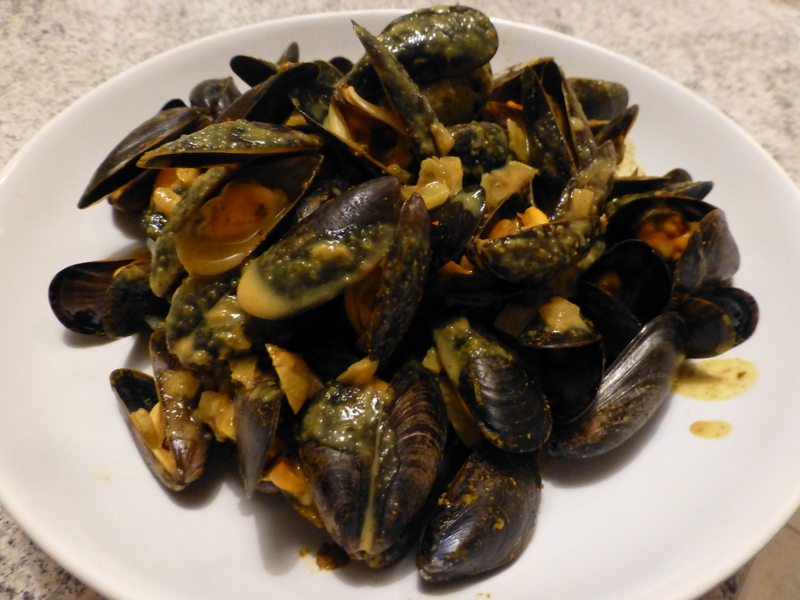 Sustainable, low fat and quick to cook I think that a bowl of mussels is a great dish to relax with after a hectic day. 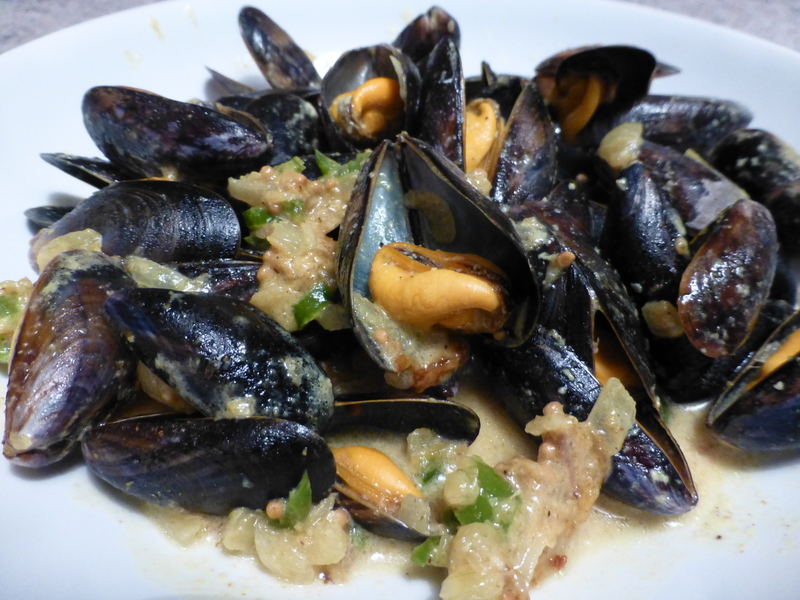 My usual go to recipe for mussels is my version of moule marinere – plenty of garlic, white wine and some crème fraiche. However these lovely little mollusks work well with a wide variety of flavours so I thought this year I might be a bit more adventurous and try some new recipes. My local supermarket stocks some beautiful fresh loose mussels which are rope grown up near Mont St Michel. Unfortunately for me it seems that I’m not the only person round my area that likes these mussels as since the beginning of October, despite many visits to the shop, I have only been able to get hold of some on four occasions! 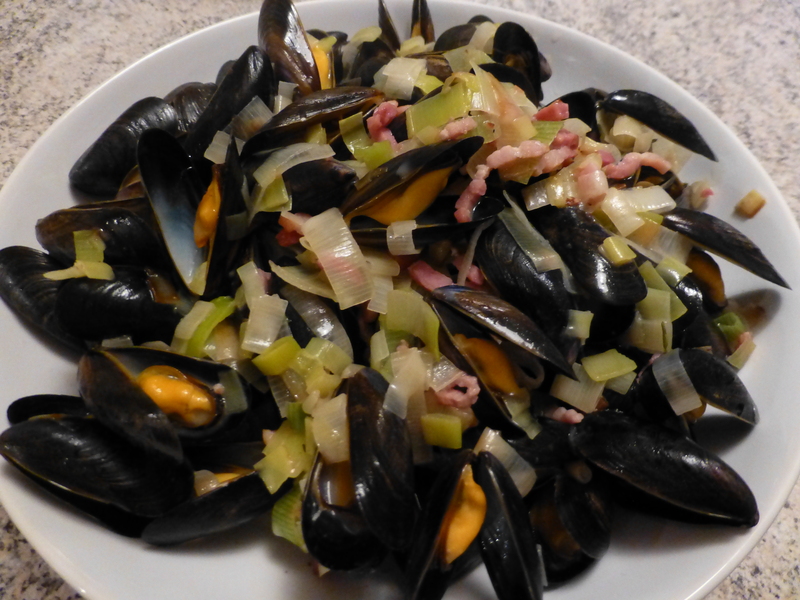 The first recipe I had a go at was Mussels with Cider, Bacon and Leeks. This was delicious. Although I used a brut cider the apples combined with the leeks still gave it a real sweetness that worked really well with the smokiness of the allumnettes and brought out the mussels own naturel sweetness. As this involved peeling the tomatoes it was a little bit more work than the cider recipe, but it was still a quick dish to prepare and the result was well worth it. The mussels stood up really well to the good kick of spice from the chili. The whole thing was very moreish. 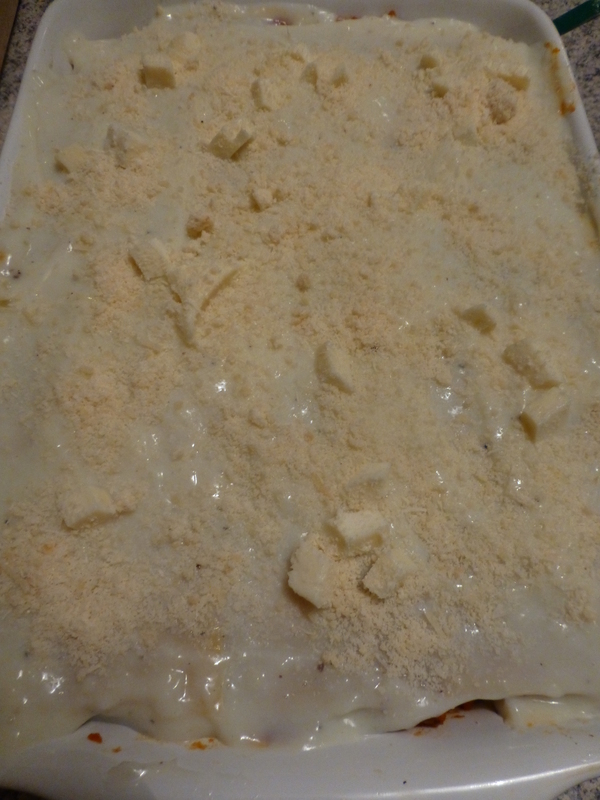 It was the only none creamy recipe that I tried but despite being a light sauce it was just as rich and satisfying. This is a version of moule that I had tried when eating out and enjoyed. Alongside marinere it seems to be a popular option round by me. I researched various recipes online and put together the one I posted, however I was pretty disappointed with the result. There was a quite bitter flavour and a grainy texture from the curry powder and the whole dish just didn’t have the fresh vitality mussel dishes normally have. I have to confess that I did not really enjoy it. I do think a better quality curry powder would probably have produced a tastier result, but even the version I had in the restaurant pales compared to the other recipes I tried at home. 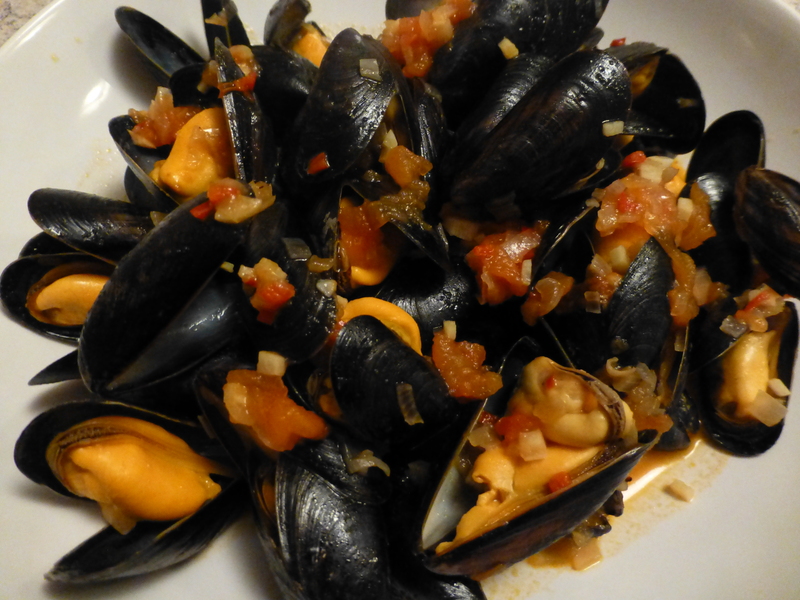 The final recipe I’ve managed to try is Goan Mussels. I have no idea if this is a traditional Goan dish or not, but I loved it anyway. It was unusual in that there was no alcohol involved, instead the cooking liquor was made from coconut cream. For a dish with so many spices and flavours the result was delicate and fragrant. I’m a big fan of coconut milk and so I enjoyed this dish immensely. I even ended up grabbing extra bread to make sure none of the liquor was wasted! There must be something magical about mussels. It’s quite amazing that meals with so few ingredients and so little cooking time can result in dishes with so much depth of flavor. Apart from the creamy curry version I’m looking forward to making all of these again – provided I can get hold of some nice fresh mussels.